and linked to the tangible assets and value of a rapidly growing craft beer brewing company and partners (“Brewery Consortium Partners”) in exchange for the Funds (“Token Sale”). Develop BEER as a cryptocurrency linked to the value of tangible assets and consumer product sales in new and growing markets. 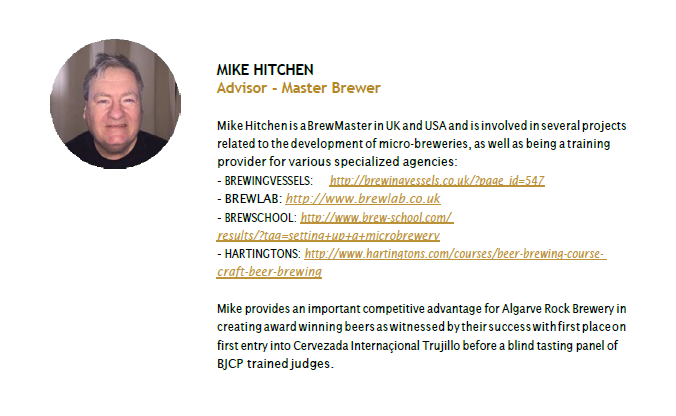 Brewery (AR) based in Faro, Portugal with more than 100 years combined staff brewing experience. BB are located in Portugal to exploit the rapidly expanding craft beer market predicted to rise from current €3m annual sales to more than €50m over the next 3 years. BB will develop the Brewery Consortium by expanding AR Brewery and investing in and cooperating with other Craft Breweries globally – Brewery Consortium partners. Brewery Consortium partners will undertake joint brewing and marketing ventures. 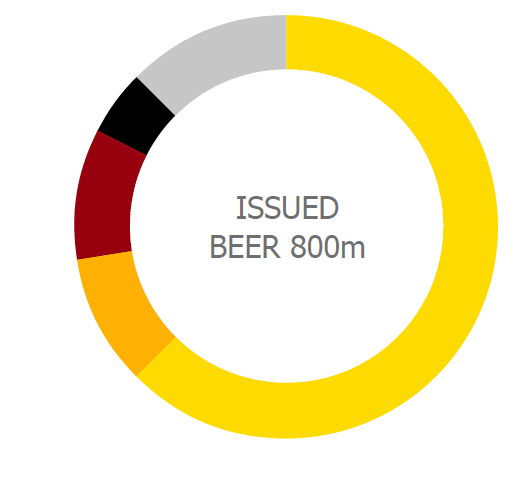 - Total 800m BEER will be released and convertible to 100% of the share capital of BB Parent Company which in turn will hold 100% of the shares of BB and shares in each Brewery Consortium partner. - Withheld BEER will be released over 36 months to fund prizes on beer purchases, partner acquisition and brewpub development as per ROADMAP and USAGE OF FUNDS. - BB post money value of €31m based on Token sale of 500m BEER at $0.05 convertible to 100% share of BB Parent Company. - Regular release of BEER as prizes on beer purchases from Brewery Consortium partners. - Increase in profitability, asset and trading value of BB and Brewery Consortium partners. - Other opportunities of linking BEER to other companies and products. 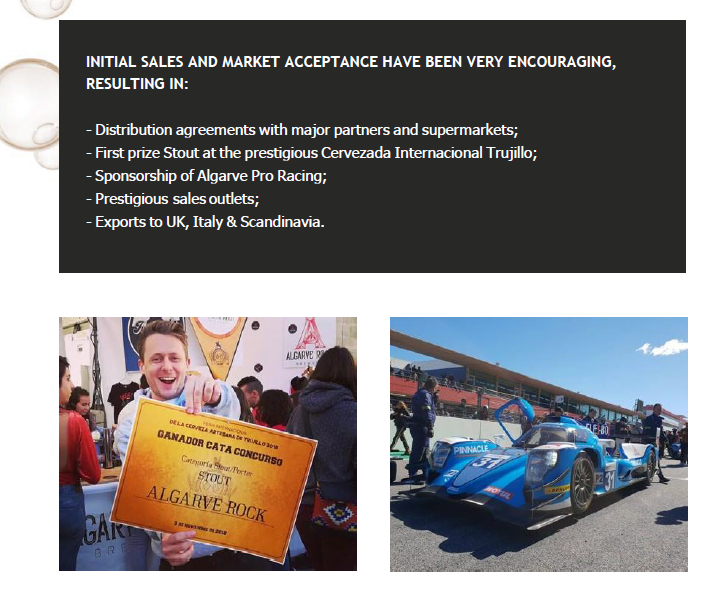 - As BEER value will be linked to the assets and values of BB and Beer Consortium partners, the potential for growth in BEER volume and value is endless. Ultimately, the value of BEER is linked to growing consumption. Hence, investors in BEER are investing in the consumer, themselves and enjoying the benefit of growing consumption. blockchain, fully compatible with popular Ethereum wallets which support ERC20 Tokens and smart- contracts that use the ERC20 Standard. BEER funds will be used to establish Brewery Consortium partners globally. BEER funds will be used to expand Algarve Rock brewery & distribution throughout Europe. BEER will be offered as prizes against Brewery Consortium beer purchases. BEER funds will be used to open Brewery Consortium Brewpubs. BEER will be accepted in Brewery Consortium Brewpubs. BEER funds will be used to acquire shares in Brewery Consortium partners. BEER will be optionally convertible to assets in BB Parent Company. On January 7th, 2019 up to 500m BEER will be released and offered for Pre-Sale at $0.05 each with bonuses. Payment in $, €, £, PayPal, BitCoin, Ethereum. On March 15th, 2019 (subject to the Limits) the balance of released BEER will be offered in the ICO Token Sale (ICO) at$0.05 each with concurrent release and tradability on participating exchanges, where listing is successful, and conversion to BB Parent Company Shares. BB will implement know your customer, anti-money laundering and anti-terrorist financing procedures and processes (“AML”) in support of and during Token Sale with the concrete aim of compliance with regulations in force. Payment in $, €, £, PayPal, BitCoin, Ethereum. - At a rate of 0.1% ownership of BB Parent Company Shares :1,200,000 BEER subject to the minimum conversion rate defined below. 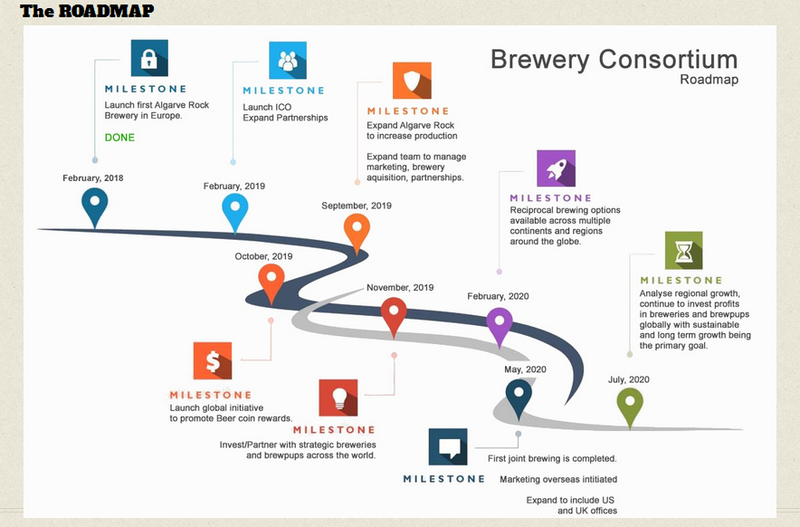 - Subject to 30 days prior notice from the applicable investor to BB Parent Company via website www.BreweryConsortium.com on the 15th of June and 15th of December annually from 2020. 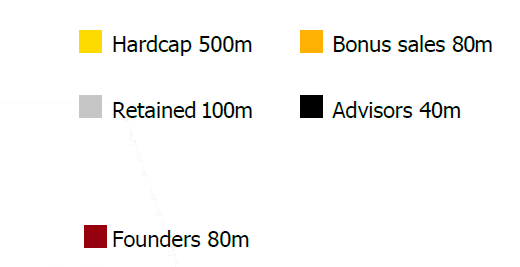 - With respect to any one investor, as a minimum, a conversion is necessary resulting in the investor owning 0.05% of the BB Parent Company at the prevailing market exchange rate with minimum rate of 1 BEER:$0.05 at the time of application to convert (the “Minimum Conversion Rate”) Shares will be held by the BB Parent Company to benefit investors. 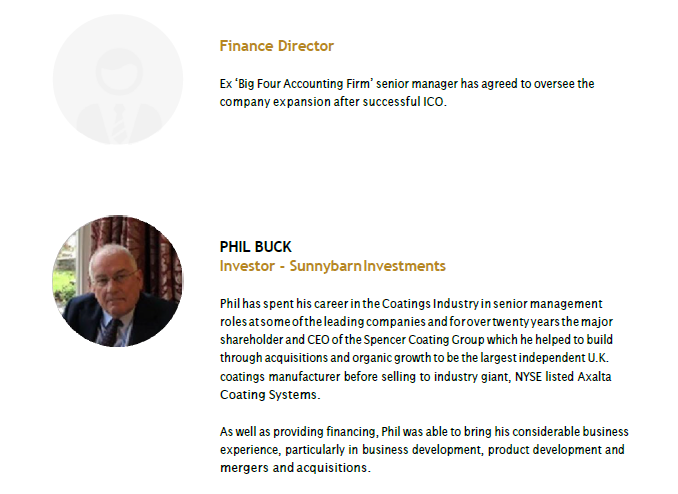 The BB Parent Company will most likely be formed in Zug, Switzerland after the Soft Cap is reached, it being understood that BB will evaluate the best jurisdiction for incorporation within a reasonable time prior to reaching the Soft Cap, and that the BB Parent Company will be incorporated latest a reasonable time after the Soft Cap is reached. The BB Parent Company will be listed in the BB Company Registration Certificate (Certidão Permanente) as a 100% owner of BB. The BB Parent Company will administer, on behalf of BEER holders that have converted to BB Parent Company Shares (“Converted Shareholders”, or “Converted Shareholding”, as applicable), the distribution of dividends (where such is payable) due and operate a Converted Shareholding exchange subject to transaction fees. - Converted Shareholders will not have any voting rights in the BB Parent Company but will receive a share of dividend earnings (where payable) and proceeds from any sale or part sale of the BB Parent Company. - Hence, the optional convertibility of BEER to ownership of BB Parent Company will link the value of BEER to the growing value of BB and Brewery Consortium partners. Regular releases of BEER as prizes against purchases of Brewery Consortium beers should stimulate increase in BEER value and trading on the most efficient cryptocurrency platforms, thereby increasing confidence in the underlying assets and the linked value of BEER. 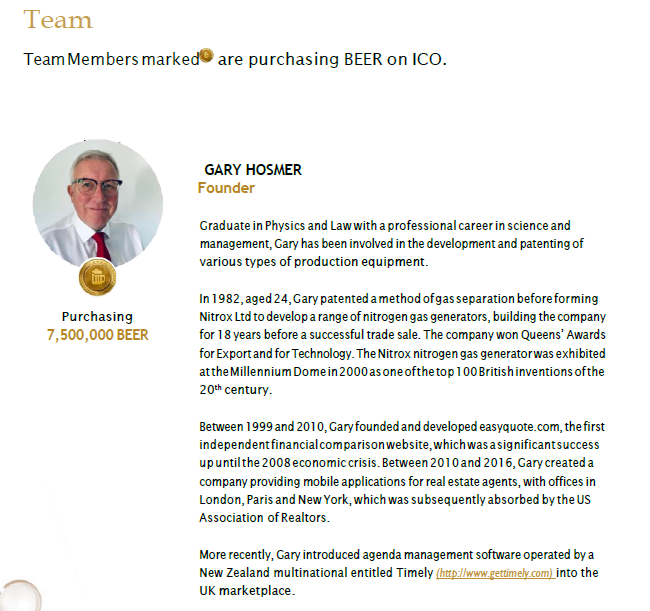 From 800m BEER issue up to 700m with bonuses and payments will be released on ICO. Brewery Consortium will release BEER monthly as prizes against purchases of partner beers. BEER prizes will be released at a level > 5% monthly Beer Consortium Partner beer sales value for at least 36 months. - Prizes issued by code printed under bottle caps and can ring pulls, readily claimable online. - Prizes should stimulate sales and profitability of Brewery Consortium Companies. - Prizes should stimulate desirability and trade in BEER. - Prizes have an intrinsic purchase value and add to the value of BEER. RECAP - HOW DO BEER INVESTORS BENEFIT? BEER is convertible to ownership of BB Parent Company. Twice annually BEER can be converted into shareholding in BB Parent Company subject to conditions. BEER is convertible to other crypto and fiat currencies subject to successful listing. Release of BEER should stimulate the potential for trade on crypto exchanges. Brewery Consortium partners will expand brewing capacity, expertise and market share. Linked asset value of BEER should increase. Brewery Consortium aim to open brewpubs across Europe and then abroad. Awareness, trade and linked asset value of BEER will increase. BEER prizes will stimulate interest and beer sales of Brewery Consortium partners. Prizes should increase awareness of BEER and value of linked partners. The above activities should increase the value of BB and Brewery Consortium partners thereby increasing the visibility, trading activity, credibility and value of BEER. WHAT IF SOFT CAP NOT ACHIEVED? If the Soft Cap is not achieved all Funds will be returned to investors and the expansion delayed. The industry of cryptocurrencies is in constant regulatory flux, globally, and every purchaser of BEER acknowledges this risk as inherent in the Token Sale; and therefore agrees that in the event (in the reasonable discretion of BB) a legal or regulatory risk is identified, including without limitation due to a rule breach as a result of the Token Sale or by BB, or regulatory, enforcement or other similar action, or other similar legal process applicable to the Token Sale, BB reserves the right to rescind the Token Sale (and therefore the Terms) and return to every investor pursuant to the Token Sale, including without limitation any Converted Shareholder (each an “Investor”, any Funds obtained from the Investor, and cancel any rights acquired pursuant to the Token Sale, without any further liability for BB, all as further detailed in the Terms. EXPAND ALGARVE ROCK TO INCREASE PRODUCTION. EXPAND TEAM – BREWING, SALES, PARTNERSHIPS, BREWPUBS. 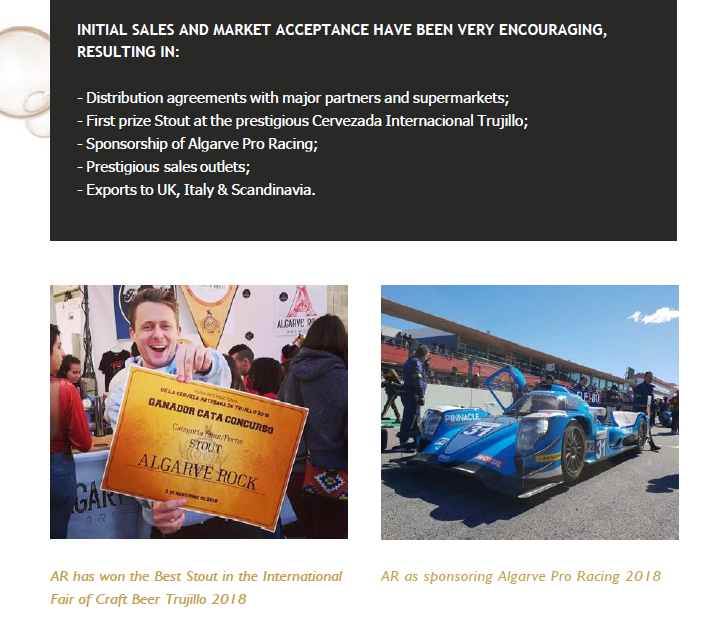 In the first half of 2019 a first-class brewery team will be expanded alongside sales and marketing staff to grow the production capability and sales of Algarve Rock craft brewery to be a dominant supplier in Europe. Concurrently Brewery Consortium partnerships will be developed and initial Brewpubs established. Prize codes inside bottle caps and can ring pulls will be set up and offered by Algarve Rock and other Brewery Consortium partners. BEER will be accepted as payment by Brewery Consortium partners including Brewpubs. Partners will be further developed by investment including reciprocal brewing and supply through partner supply chain opening markets for all Brewery Consortium partners. The first joint venture Brewing Consortium reciprocal brews to be delivered including BEER prizes and marketing. BEER prizes and Brewery Consortium partnerships will be reinforced in USA by a local support office based in Austin, TX. All aspects of BEER marketing and Brewery Consortium expansion will be analysed to further invest in sustainable long term growth in the company. AR is a new craft brewery with modern brewing facilities including kegging and own counter pressure auto-bottling line. The brewery is open to visitors subject to appointment. It has been established as the largest craft brewery in the Iberian Peninsula and readily scalable to exploit the growth in the local craft beer market. AR is the trading name of BB and, therefore, is the same company as BB for the avoidance of doubt. 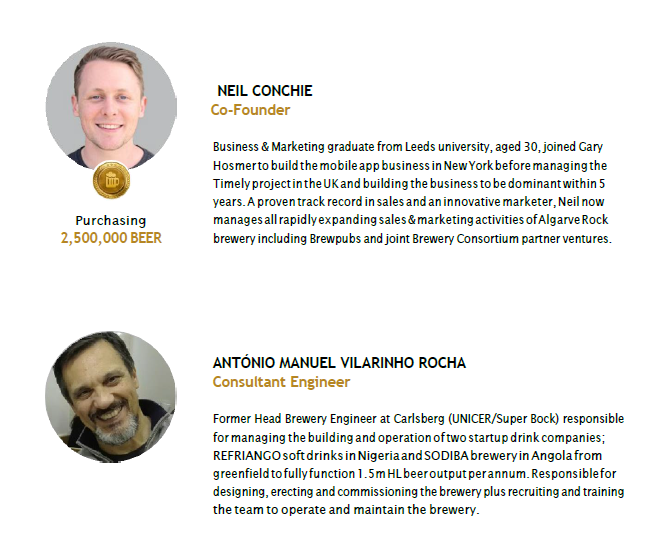 BB are seeking Funds via the Token Sale to establish Brewery Consortium partners, expand AR to be a dominant craft brewery in Europe, purchase freehold of the current AR brewery premises, open logistically beneficial Brewery Consortium brewpubs, purchase shares of suitable Brewery Consortium brewing partners and regularly release BEER via Brewery Consortium purchase prizes. - Contribute towards shareholder earnings where BB deems such to be necessary in the absolute discretion of BB. In general, funds will be used to reduce debt, increase asset value and trading profitability of BB through Beer Consortium partners, thereby increasing the linked convertible and tradable value of BEER. Post Token Sale, BB intends to accomplish the above tasks during 2019 through to mid-2021 allowing BB to own varied assets including unreleased BEER, Brewpubs, shares in Brewery Consortium partners and AR as a fully functional and fully funded leading craft brewery. Concurrently BEER will be developed as a respected cryptocurrency readily convertible (subject to conditions) to other currencies or the underlying solid assets and business value of BB Parent company Shares. BB is expecting to raise the equivalent of approximately €17m subject to the Limits globally during the Token Sale allowing for planned expansion and contingency.